Since the early 1980's, we've helped a wide range of customers tackle their critical prime and back-up power challenges with fully engineered and innovative solutions ranging from a few watts to several kilowatts. 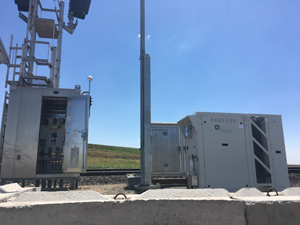 When a standard electric utility connection is not available and/or too expensive we can provide highly reliable prime & backup power systems for virtually any remote site requirement. Solar Power Systems provide a reliable and proven source of DC power by converting sunlight directly into electricity. 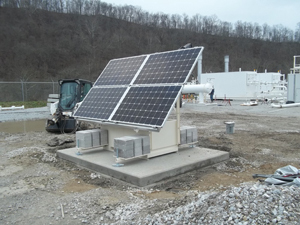 Solar Power Systems are a good fit for pipeline applications because they're very economical, require very little maintenance and have no ongoing fueling requirements. 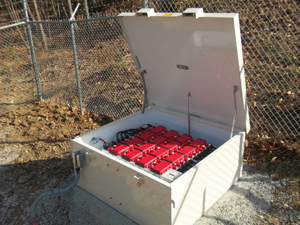 We offer both grid-tie and off-grid systems with a variety of mounting configurations to meet virtually any of your budget and/or site requirements. 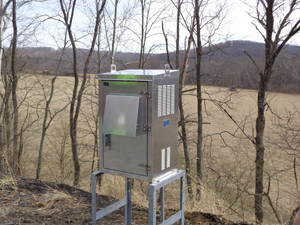 Our innovative RP Series Retractable Mast provides a safe and convenient solution for mounting solar arrays, wind generators, and other equipment to a pole structure at ground level. The system can be raised and lowered via a hand-crank or power drill for safe and easy installation, maintenance and replacement. Due to the fact that the Mast raises and lowers along the same axis, the system remains operational no matter what position its in. Ultra-USSI's P250i Solid Oxide Fuel Cells provide a reliable source of DC power by converting chemical energy into electricity. Powered by low cost propane or natural gas, the P250i is capable of providing days, weeks and even months of reliable, clean, extended-run backup power protection to remotely located power equipment ensuring no system downtime. Our versatile PV PowerStation is the perfect solution for off-grid and backup applications requiring reliable power in a completely integrated package. 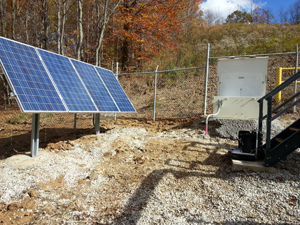 The PV PowerStation combines a solar array, charging and monitoring equipment, batteries, battery box, ballast and adjustable leveling supports in a relatively small footprint and the flexibility of being a permanent or temporary solution.